My name is, Reverend Suzi McKinley, and it would be my pleasure to officiate your Wedding, Unions, Commitment Ceremony, or any other Special Occasions here in Texas. I am here to make it a beautiful and loving experience. 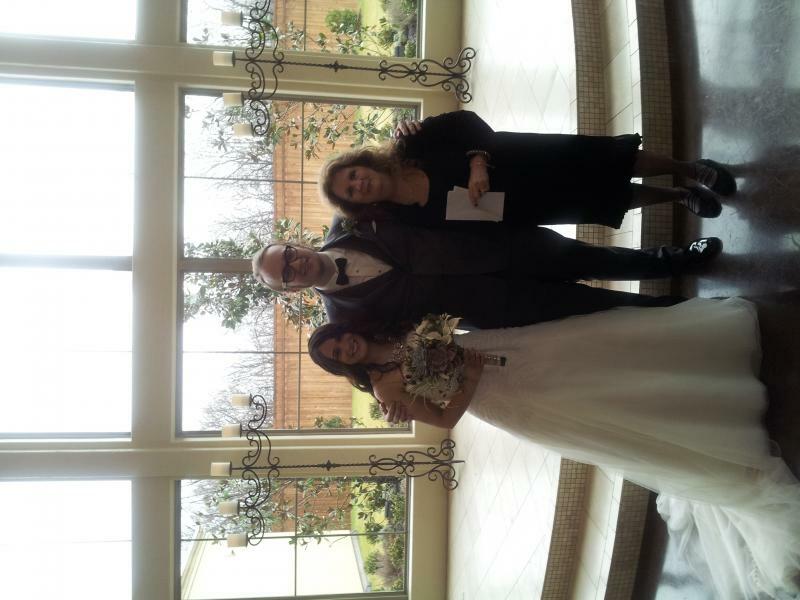 Reverend Suzi McKinley~~I am an Interfaith Minister who officiates at wedding ceremonies,Unions, Commitment Cermony, and any other special occasions here in Texas which unite individuals of any race, creed, or denomination. All ceremonies are custom tailored to the individual needs of couples. Whether you would like a traditional, non-traditional, Texas style, or combination of both, I can accommodate any request. Also, Baby Blessings and Reiki, I am a Reiki Master. With your help, I will customize and personalize your ceremony and incorporate whatever beliefs you may have to have a Beautiful Texas Ceremony. You may wish to combine your customs and traditions or you may wish to choose a ceremony that is neutral. For a variety of reason, some may not be able ot unite in a tradional venue. I am available to Join you at any location in Texas. I will do all that I can to make your day a special one. Copyright 2011 Texas Wedding Minister. All rights reserved.